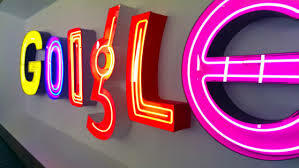 Google has seen a good year in 2013, with updates in Android, its mobile operating system, the new Google Play edition devices (particularly the Nexus 4 which was co-developed by Google and LG), and the inception of the Google Glass, the “wearable” computer among other things. A better version of Android – rumoured to be released mid 2014, this new version of the Android mobile OS may be the answer to the rather disappointing version 4.4 codenamed KitKat. Expect a more colourful Android 5.0, reminiscent of the more vibrant iOS’s colourful design. Keyword research and linkbuilding may finally be out – Google did a major makeover to its algorithm with the release of the Hummingbird update in 2013. This new algorithm is capable of understanding conversational queries, unlike the previous versions which produces results from exact keyword matching. And while SEO is not necessarily dead, Internet marketing jocks may need to change their game plan as Google is gearing towards mobile SEO and the rise of the voice search. Goodbye Google TV, Hello Android TV – Last October, Google has noted that they will no longer be using the Google TV label. All new devices will be rebranded as Android TV but the official announcement is yet to come, hopefully by mid 2014. The year of the Chromecast – While Chromecast was released in 2013, its star will shine brighter this year as the low-cost media streaming dongle will be available internationally. Google Glass goes mainstream – Only a few lucky developers were able to get their hands on the Google Glass. But this year, the public may already have a chance to have their very own pair for as low as $200. But you’ll have to wait for the announcement of its public release. The rise of the Google Chromebook – Chromebook released its first high-end model in 2013. But this year, they may be releasing a model aimed for the budget-conscious crowd. As the Chrome OS is built for lightweight machines such as laptops, smart phones and tablets, manufacturers are able to keep the price down. Asus has already confirmed to creating and releasing devices with this operating system this year.